Read stories about Tasting of A Wardrobe of Whisky blog. I am lagging behind but here it is the review of Maverick Drinks’ Whisky Advent Calendar. This is the first day of the calendar and the chosen whisky is Haig Club ( is it the same for everyone?! ). Named for the founder of Cameronbridge distillery, John Haig, and created in partnership with David Beckham and Simon Fuller, the Haig Club is a light and sweet grain whisky created to open the world of whisky to a new group - those who don't think they like whisky. Fantastic over ice, in long drinks or in short cocktails, it's an easy-drinking dram that'll win anyone over. Palate (85): light, smooth. honey, citrus, vanilla, wood, spices, toffee, alcohol. Finish (85): average. honey, toffee. So based on other whiskies I have already tasted I rate this Haig Club Single Grain Whisky Single Grain Scotch Whisky with 85 points over 100. 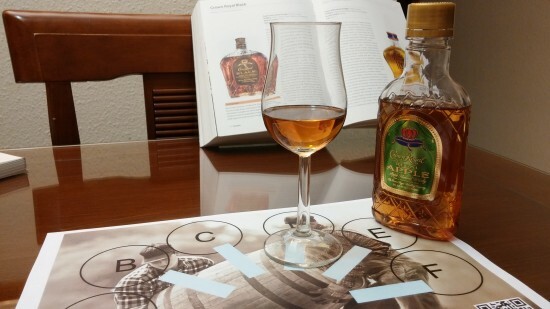 A few weeks ago I was offered to taste the new Crown Royal Regal Apple. This is a new member of the Crown Royal family and part of a new tendency in the whisky world: infused whisky liqueurs. As usual with Crown Royal whiskies, it is presented in a lovely box with a precious green velvet bag and just 35% ABV and I really don’t understand why not selling it at 40% ABV. Really, this has to be either fantastic or a complete failure. Let’s taste it because I am getting excited. Palate (86): smooth, oily. honey, apples, citrus, spices, cinnamon, wood, toffee. Finish (86): longer than average. honey, apples. So based on other whiskies I have already tasted I rate this Crown Royal Regal Apple with 84 points over 100. They recommend Crown Royal Regal Apple for cocktails… I will try this weekend a apple-flavoured Manhattan and share with you what I discover. Well, to be fair I wasn’t expecting a huge tasting, I have tasted a few Ballantine’s and I usually order Finest when I am out of home because it is better than the standard booze that they serve here and still cheap enough so you are not served so with a liver-crusher refilled whisky bottle. I love #Spain. So, to the tasting… a few days before the tasting I got one of the hugest samples parcels that I have got in a lot of time. And I opened it and, oh, oh my, oh my my! Surprise! 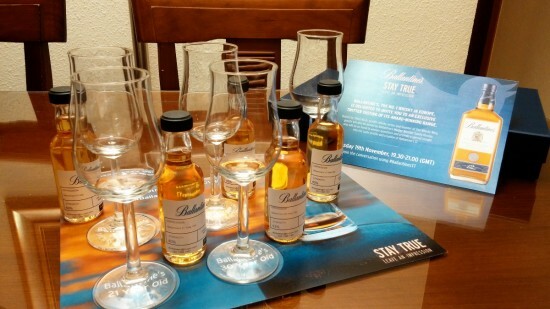 Five Ballantine’s whiskies to taste: Finest, 12yo , 17yo, 21yo and 30 years old. I have already tasted some of them but I was particularly interested in two of them: the 30 years old and the 17 years old. I tasted long time ago the two of them and I wasn’t deeply touched by none of them. So time to retaste them all! Another day, another peated dram! I love Lagavulin. I love their Lagavulin 16 years old because it is affordable and really… it is so hard to get any better bang for the buck! Nose (91): more than average. peat, honey, wood, spices, vanilla, citrus, cappuccino, liquorice . Palate (91): powerful, oily. peat, honey, salt, citrus, wood, spices, cocoa, earthy. Finish (91): longer than average. peat, citrus, spices. So based on other whiskies I have already tasted I rate this Lagavulin Triple Matured Edition (Friends of Classic Malts) with 91 points over 100. Hello there! Yet another peated delight. This time a Kilchoman from Feis Ile 2014. Nose (90): more than average. honey, peat, vanilla, toffee, citrus, spices, candies. Palate (90): powerful, oily. honey, peat, citrus, salt, barley, spices. Finish (90): longer than average. honey, peat, salt. So based on other whiskies I have already tasted I rate this Kilchoman Feis Ile 2014 Release with 90 points over 100. Perhaps the most sought after edition of the Feis Ile whiskies ( if you ignore Ardbeg )… I just hope it keeps as it is right now below the collectors’ radar. This year's Cairdeas release ("Cairdeas", pronounced 'car-chase', means 'friendship' in Gaelic) was matured in bourbon barrels and Amontillado hogsheads. Created by Laphroaig Master Distiller John Campbell, it's bottled at 51.4% abv. Nose (90): more than average. peat, honey, citrus, wood, spices, cinnamon, apples. Palate (91): powerful, oily. honey, peat, earth, citrus, fruits, spices, pepper, cinnamon, salt, iodine. Finish (91): longer than average. peat, honey, salt. So based on other whiskies I have already tasted I rate this Laphroaig Cairdeas 2014 Edition with 91 points over 100. If last year FOL whisky was fantastic this year is really there too. A quite good whisky and still priced for people that actually drink the stuff! Thanks Laphroaig! Following my review of a lovely peated macho Bunna, here I am again with a review of a pretty decent Caol Ila from Feis Ile 2014. Caol Ila's F�is �le 2014 bottling was selected by new distillery manager David Wood (a truly excellent name for anybody in a position to choose casks) who carries on Billy Stitchell's great work. Matured in refill American oak hogsheads, 1,500 bottles have been released. Nose (88): more than average. honey, vanilla, baked apples, citrus, smoke. Palate (90): powerful, oily. honey, citrus, vanilla, winey, fruits, peaches, spices, cinnamon, wood. Finish (90): longer than average. honey, citrus, spices. So based on other whiskies I have already tasted I rate this Caol Ila 2002 - Feis Ile 2014 with 89 points over 100. As always I tasted it blind and it is surprising that it is just aged in american oak casks. It is so fruity and complex… I was expecting something crazy combinations of casks. It isn’t amazing but it is quite close to it. A few months ago I reviewed a wonderful proposal from Maverick Drinks called Reference Series, a set of whiskies names I, II and III that where crafted with a different proportion of single malt whiskies of different characteristics. So today I review part of the first addition to this crazy educational whisky range. 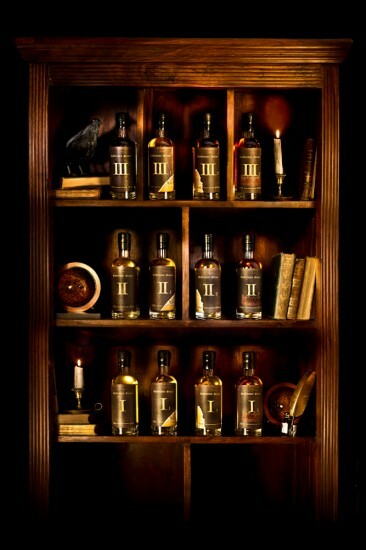 There are for each of the three original bottles, 3 new whiskies called: .1, .2 and .3. I have finally had time to write the review of this Kilchoman from Abbey Whisky. I really love Kilchoman malts since I tasted their first bottle a few years ago, here we have a five years old Kilchoman aged in bourbon casks for most of its life to end being finished in a PX cask for four months. But before I review the whisky you must know that I am not really fond of PX finished whiskies… I really prefer Oloroso aged… but… anyway… let’s try this. Established in 2005, Kilchoman distillery holds true to tradition, it�s one of only a handful of distilleries to still practice floor maltings; they even grow their own barley! We�ve always greatly admired Islay's farm distillery and what it stands for, so to team up and release this wonderful dram makes us incredibly proud indeed! Cask #285/09 has been matured for over four and a half years in a fresh bourbon barrel before being transferred to a Pedro Xim�nez cask for a further four months maturation. The PX finish on this release works a treat, softening things down a little but still allowing the dram to hold the traditional taste & characteristics you would expect from a Kilchoman whisky of this age. A perfect combination. Nose (91): more than average. peat, honey, cocoa, spices, cinnamon, fruits, citrus, salt. Palate (90): powerful, oily. peat, honey, cocoa, salt, malt, wood, pears, chocolate. Finish (90): longer than average. peat, honey, citrus. So based on other whiskies I have already tasted I rate this Kilchoman 2009 PX Finish Single Cask / AW Exclusive with 90 points over 100. Wooo! Awesome dram. I definitively can recommend you this Kilchoman if you like peated whiskies as much as me. Wealth Solutions has raised the bar one more time. 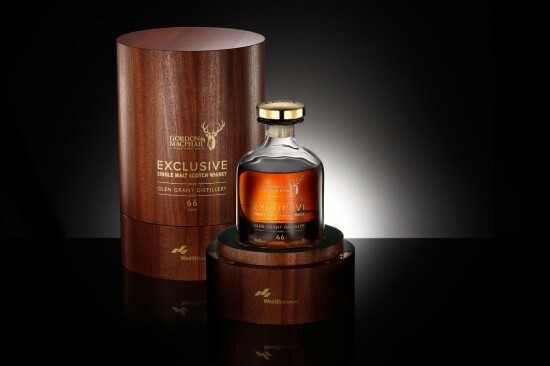 If the Glenfarclas 1953 was fantastic and the Karuizawa 1964 was something worth of trying once in a lifetime, this group of Polish investors with a special passion for fine spirits has bottled something unique. With the help of Gordon & MacPhail they have source the cask #1369 of a Glen Grant whisky that has been there for a whopping sixty six years. So… Are you interested in knowing how good this is whisky?